FOUR! Kagiso Rabada to Dwayne Bravo. Short, outside off stump on the back foot pulling, well timed past deep backward square leg for 4 runs. 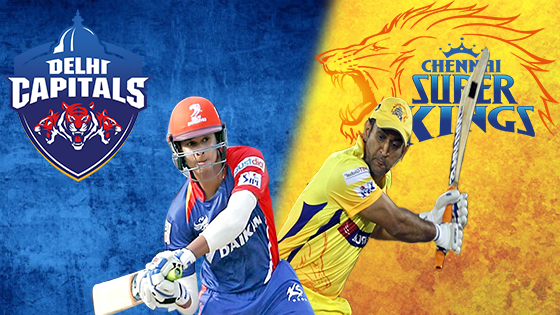 CSK have moved to the top of the table after a six wicket victory over the Delhi Capitals. Shane Watson and Suresh Raina got the visitors ahead of the required run rate with an array of powerful strokes in the powerplay, allowing MS Dhoni to take control of the chase in typically calm style. Looking back, the turning point of the match came when Rishabh Pant was caught in the deep in the first innings because from there the hosts were fairly tame in the death overs. Dwayne Bravo was the star with the ball, his 33-3 included the crucial wickets of Pant, Dhawan and Ingram and fittingly he was the man to hit the winning runs. We'll be back tomorrow with more IPL action from Eden Gardens as KKR take on Kings XI. Kagiso Rabada to Dwayne Bravo. Short, outside off stump on the back foot driving, missed to wicketkeeper for no runs, fielded by Pant. Kagiso Rabada to Dwayne Bravo. Back of a length, outside off stump on the back foot driving, missed to wicketkeeper for no runs, fielded by Pant. OUT! Caught. Kagiso Rabada to Kedar Jadhav. Back of a length, outside off stump on the back foot Late Cut, top edge to wicketkeeper, by Pant. Just a little feather, Rabada grabs a consolation wicket for the hosts. Jadhav wanted a single to allow his skipper to hit the winning runs but he's tickled it into Pant's gloves. Amit Mishra to MS Dhoni. Leg spinner back of a length, off stump on the back foot working, to short mid wicket for no runs, fielded by Patel. SIX! Amit Mishra to MS Dhoni. Slider half volley, middle stump on the front foot driving, well timed in the air under control over long off for 6 runs. Blasted over the bowler's head, MSD has decided it's time to finish this match. Amit Mishra to Kedar Jadhav. Slider length ball, outside off stump on the back foot pulling, to long on for 1 run, fielded by Ingram. Amit Mishra to MS Dhoni. Slider length ball, outside off stump on the back foot driving, in the air uncontrolled to long off for 1 run, fielded by Dhawan. Amit Mishra to Kedar Jadhav. Leg spinner length ball, outside off stump on the front foot sweeping, to long on for 1 run, fielded by Ingram. Amit Mishra to Kedar Jadhav. Leg spinner length ball, outside off stump on the back foot pushing, back to bowler for no runs, fielded by Mishra. Keemo Paul to MS Dhoni. Back of a length, outside off stump on the back foot driving, to extra cover for 2 runs, fielded by Shaw. FOUR! Keemo Paul to MS Dhoni. Slower ball back of a length, outside off stump on the back foot cutting, well timed past deep cover for 4 runs. Slapped for four, MSD has this chase at his command. Keemo Paul to MS Dhoni. Slower ball half volley, outside off stump on the front foot driving, missed to wicketkeeper for no runs, fielded by Pant. Wide Keemo Paul to MS Dhoni. Slower length ball, wide outside off stump on the back foot Leave, Left to wicketkeeper for 1 run, fielded by Pant. Keemo Paul to Kedar Jadhav. Length ball, outside off stump on the front foot driving, to deep point for 1 run, fielded by Shaw. Keemo Paul to MS Dhoni. Slower ball short, outside off stump on the back foot Steer, to backward point for 1 run, fielded by Patel. Keemo Paul to MS Dhoni. Back of a length, outside off stump on the back foot Late Cut, to backward point for 2 runs, overthrow by Patel. Axar Patel to MS Dhoni. Stock ball back of a length, outside off stump on the back foot pulling, to long on for 1 run, fielded by Ingram. Just a single from the over, lovely bowling by Axar. Delhi have just given themselves a sniff of a chance. Axar Patel to MS Dhoni. Stock ball full toss, middle stump on the front foot driving, back to bowler for no runs, fielded by Patel. Axar Patel to MS Dhoni. Stock ball back of a length, outside off stump on the back foot cutting, to extra cover for no runs, fielded by Iyer. Axar Patel to MS Dhoni. Stock length ball, outside off stump down the track driving, to cover for no runs, fielded by Iyer. Axar Patel to MS Dhoni. Stock ball back of a length, outside off stump down the track flick, to short mid wicket for no runs, fielded by Mishra. Axar Patel to MS Dhoni. Stock length ball, outside off stump on the back foot cutting, to point for no runs, fielded by Paul. Kagiso Rabada to MS Dhoni. Short, outside off stump on the back foot pulling, to deep square leg for 1 run, fielded by Dhawan. Kagiso Rabada to MS Dhoni. Short, outside off stump ducked Leave, Left to wicketkeeper for no runs, fielded by Pant. Kagiso Rabada to Kedar Jadhav. Slower ball back of a length, outside off stump backing away pulling, to long on for 1 run, fielded by Iyer. Kagiso Rabada to MS Dhoni. Back of a length, outside off stump on the back foot driving, to deep cover for 1 run, fielded by Shaw. Kagiso Rabada to Kedar Jadhav. Length ball, outside off stump on the front foot dropped, to short third man for 1 run, fielded by Patel. Kagiso Rabada to MS Dhoni. Length ball, outside off stump on the back foot cutting, to deep point for 1 run, fielded by Shaw. Toss: Delhi Capitals won the toss and opt to bat. Hello, all welcome to IPL 2019 Delhi Capitals vs Chennai Super Kings Live Score blog. Catch Indian Premier League DC vs CSK Live Score ball by ball commentary with fast scorecard updates, Results and much more.